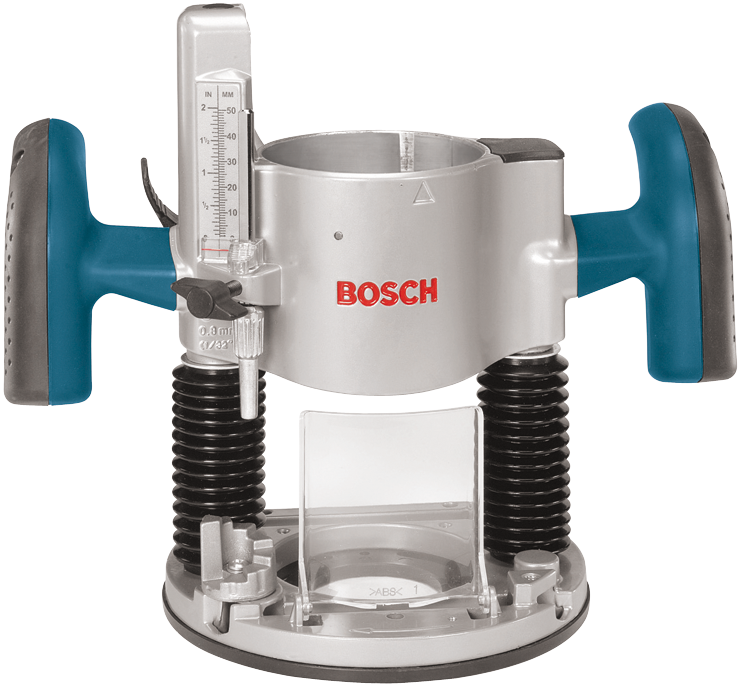 The Bosch RA1166 plunge base is designed for use with the Bosch 1617 and 1618 series routers and greatly expands the router's versatility. It features smooth plunge action and a spring-lock plunge control lever conveniently located for easy usage. The depth adjustment system includes a multi-step adjustable depth stop turret, plus a microfine adjustment on depth rod for fast, accurate depth setting. This base allows a plunging depth of up to 2-5/16 In. The precision centering design allows the subbase to be centered around the bit, which makes it easy to keep the bit on intended cut line when using jigs, templets, dovetail fixtures and similar guidance devices. The RA1166 plunge base accepts several different Bosch routing attachments, including the RA1126 tool-free Templet guide adapter, RA1054 deluxe router guide and RA1173AT dust hood kit.